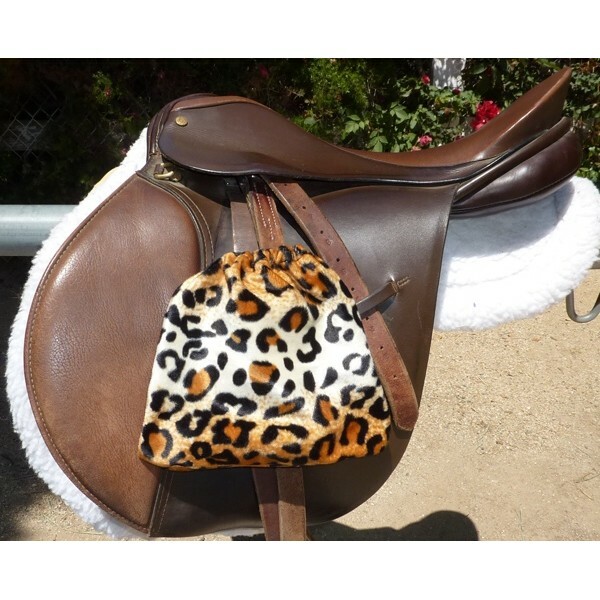 Unique English Novelty saddle pads. US-made, nice belvoa Leopard print. Belvoa is a sturdy and heavy material which is velvety soft to the touch. It wears well and doesn't fade and is commonly used in the upholstery industry. Our pads are contoured to fit your horse's back properly. We use a breathable, durable, heavy weight cotton underside, foam center and heavy black webbing on billet loops, girth straps and binding. 21.5" along the spine, 26" along the middle and 20" down each side of the horse (front). Care Instructions: Machine wash cold, no bleach. Hang-dry.